For the Thursday Drive-By this week, we’re traveling around the blogosphere in search of entertaining and informative car stories. From vintage photos by Hemmings and Stylish Kustoms, to salvage cars at Amos Auto Enthusiast, there is a whole world of cool stuff out there just waiting to be discovered. Here are five links that you should check out when you have a few extra minutes. Oh, and tell ‘em Hover Motor Company sent ya’. BHo and I concluded a long time ago that the Millennium Falcon was the Star Wars equivalent of the General Lee. Han and Luke would slide across the hood just like Bo and Luke, Han would jump behind the controls, and they’d blast out of a hairy situation while the bad guys shot at them from behind. 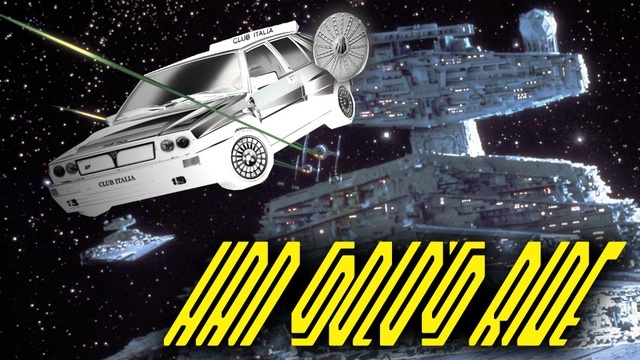 Jalopnik did an entertaining story this week where their readers came up with “ten cars that Han Solo would drive.” And while the General Lee wasn’t listed, someone did include an old moon-runner Ford. I like that a ‘90s Caprice and an old farm truck were also included. Han Solo would feel right at home at my place. Check out the link here. 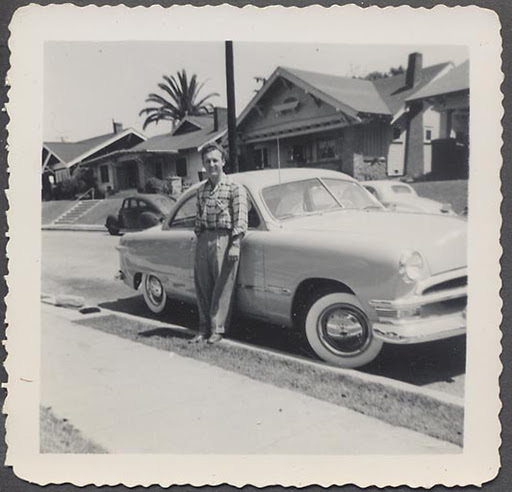 Stylish Kustoms is a pretty cool blog on which you can find all sorts of neat old pictures of classic cars and hot rods. 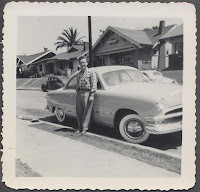 In fact, the post that I chose today is simply called “Great Old Photos.” They’re just three black and white pics of people hanging out with their old cars back when their cars weren’t really that old. They’re not unlike some of the family photos that I’ve posted here on occasion. I just like these kind of pictures. They’re not staged. They’re not some sort of modern interpretation of how it used to be. They are the real thing. I could look at hundreds of shots like this and never get tired of it. Click the link and see for yourself. You know one of my favorite things to do here is visit a local car show and post pictures from it. Well, there are other blogs out there that do more-or-less the same thing. One of those is Just a Car Guy, where you’ll find a variety of automotive stories and pictures. The latest coverage is from the Temecula Rod Run in Temecula, Calif. As I look at the Auburn Speedster and the various hot rods in this photo set, it really gets me in the mood for the upcoming car show season here in Kansas City. The Toyota pickup covered in spray-on bed liner, however, I could live without. See all this and more at this link. Not long ago, Amos Publishing maintained an impressive portfolio of automotive titles, including Cars & Parts, Pontiac Enthusiast, Corvette Enthusiast, Mustang Enthusiast, and Chevy Enthusiast. I actually had a few feature stories published in Chevy Enthusiast; something that I’m very proud of. Now, all of those titles have been rolled into one big, thick magazine called Amos Auto Enthusiast. A great feature that was carried over from Cars & Parts is their coverage of salvage yards that contain vintage tin. 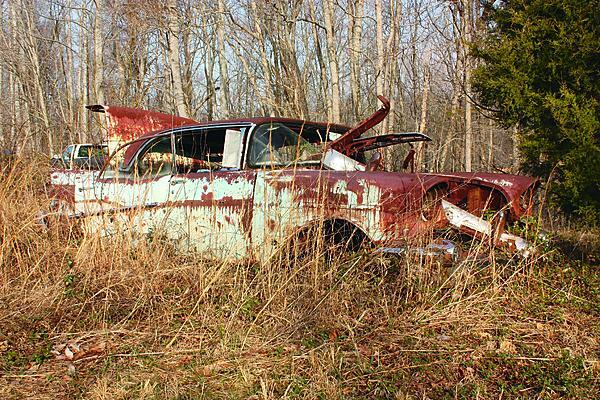 In this post, Leroy Drittler visits a Kentucky junkyard to see what he can see. Coverage includes 21 pictures of cars and trucks that have seen better days. See what I mean at this link. If you’re looking for cool stories about old cars, nine times-out-of-ten you’re going to find yourself at the Hemmings Blog. They’re always posting fresh, interesting stuff there. 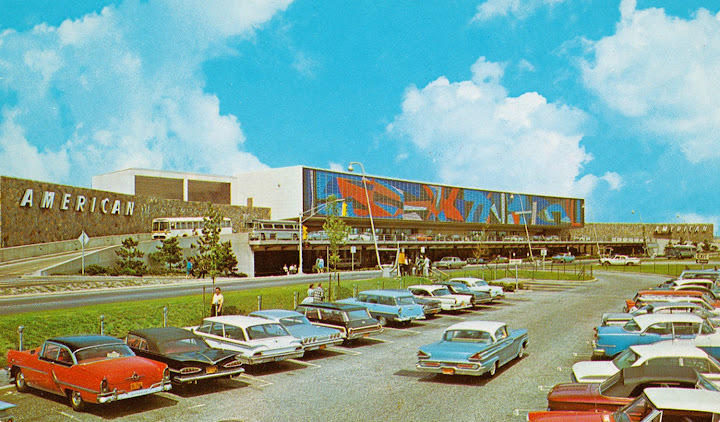 One of their common threads is posting vintage parking lot pictures for the purposes of car-spotting. A scene that may have been mundane 50-years ago is now something that you could study for hours. The link I’m providing actually gives you several one-picture posts tagged as “parking lot scenes.” Tell me you can glance at these and not get sucked in—I dare ya’! Click here, if you dare.